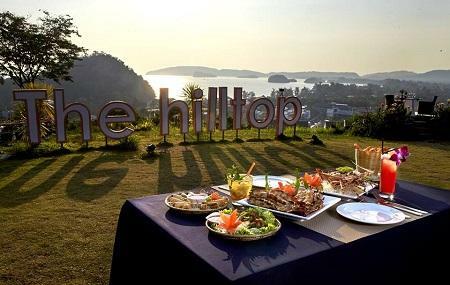 You would love to wine and dine in a classy way, visiting the facility of The Hilltop Ao Nang. This is a restaurant which can be considered classy without any doubt. Each and every platter of this restaurant represents the blend of authentic Thai cuisine and creativity of the professional chefs. To enjoy seafood and grilled items of best quality, customers come here. Some of the famous platters of this bistro are Smoked Salmon, Deep Fried Catfish, Grilled Lobster and Steamed Prawns. The bistro also serves best quality wines of various kinds to satisfy the thirst of the customers. You can come to The Hilltop Ao Nang seven days a week. Weddings and corporate events can also be hosted here. How popular is The Hilltop Ao Nang? People normally also visit Hong Island Tour while planning their trip to The Hilltop Ao Nang. Had a great dinning experience. Beautiful sunset scene. Great food. But a bit pricey with the food. And remember to make reservation because the restaurant always fully booked.